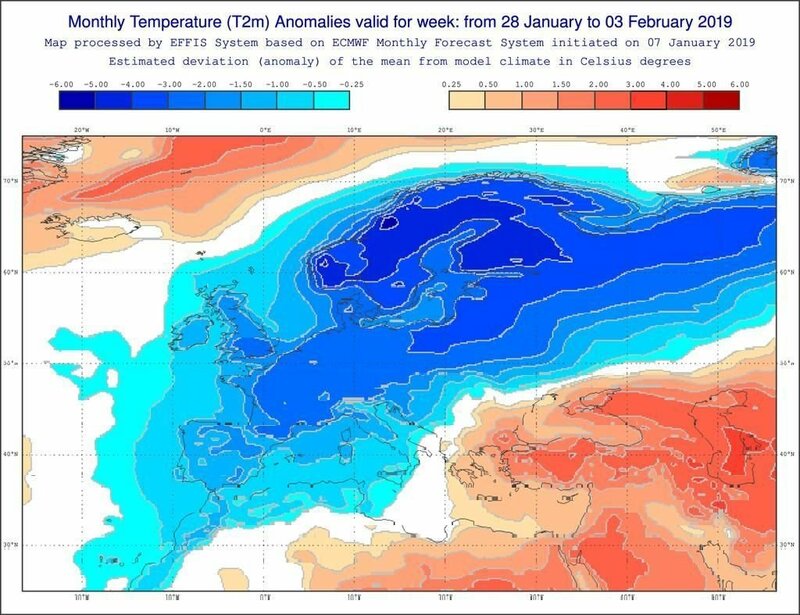 even in an average winter ,you would expect one decent snowfall.Unless things change fairly quickly this winter is going to end up a complete shambles and hopefully the end of long range seasonal forecasting ,as it proven time and time again ,their are too many variables in the U.K. climate to forecast weeks,months ahead. 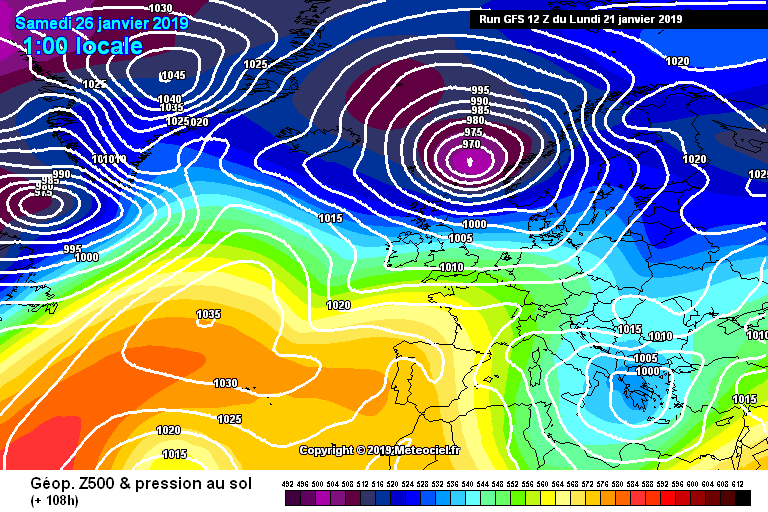 GFS and ECM more or less agree up to T240. At present no real cold on offer, and the Atlantic seems fired up, to give us Low after Low, and no sign of any blocking. 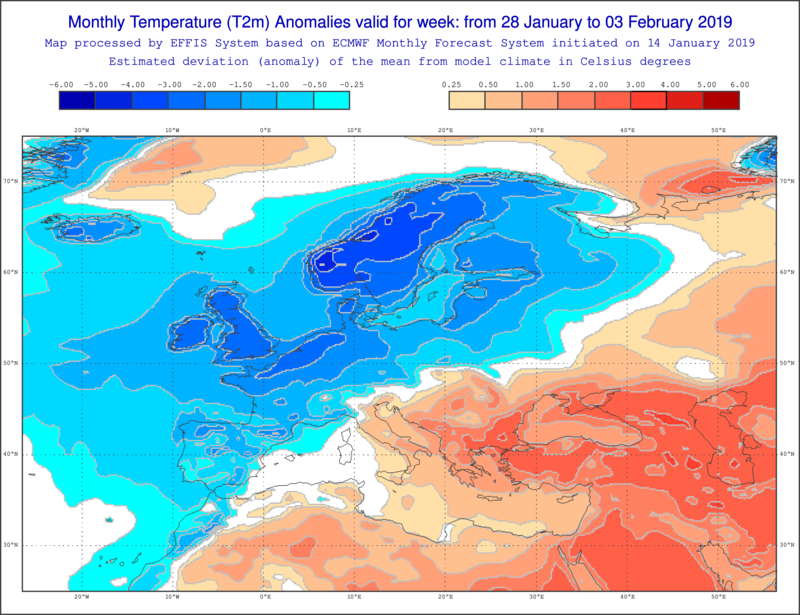 GEFS ensembles long term outlook heading for milder temperatures, but that can of course change. 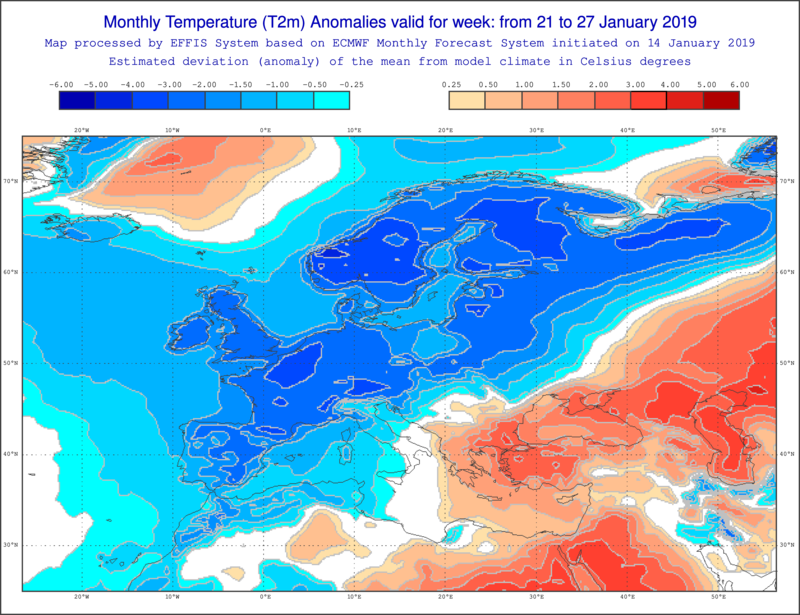 This winter so far could have been so much worse from an interest point of view if there had been zero potential for cold. Imagine if the charts and backgrounds had not shown any glimmers at all, now that would have been tortuous. Better to have loved and lost than to have never loved at all as the saying goes and even tho they've not come to anything yet, some of the charts have been lovely. 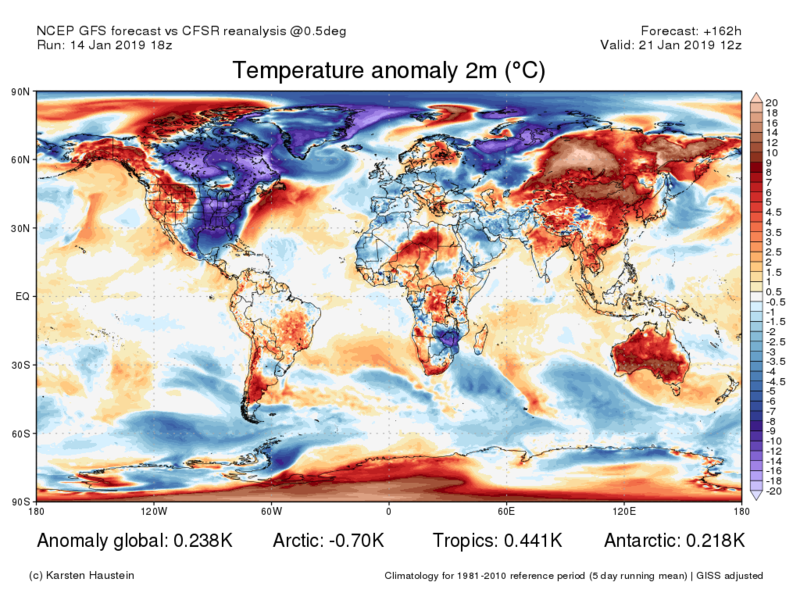 February will be the coldest in a generation. Maybe because the period it’s always shown northern blocking from is actually the 28th of January, which is still a week away. Not earlier like people are just making up. Makes me wonder if some people can actually read charts at all. True in a way but think what was meant was the average joe is not currently stepping outside and shouting out "Stone me its brass monkeys - must be to do with this stratosphere thingy ! ". True in a way but think what was meant was the average joe is not currently stepping outside and shouting out "Stone me its brass monkeys - must be to do with this Twatosphere thingy ! ". So it’s basically it’s the fault of the SSW and experts in that area that people are ignorant. Careful now. Criticise background signals here in any way and you'll be accused of being an ignorant grunt who is thick and doesn't understand anything. Was there any need for that? there is sarcasm then there are ignorant grunts. which are still playing out. 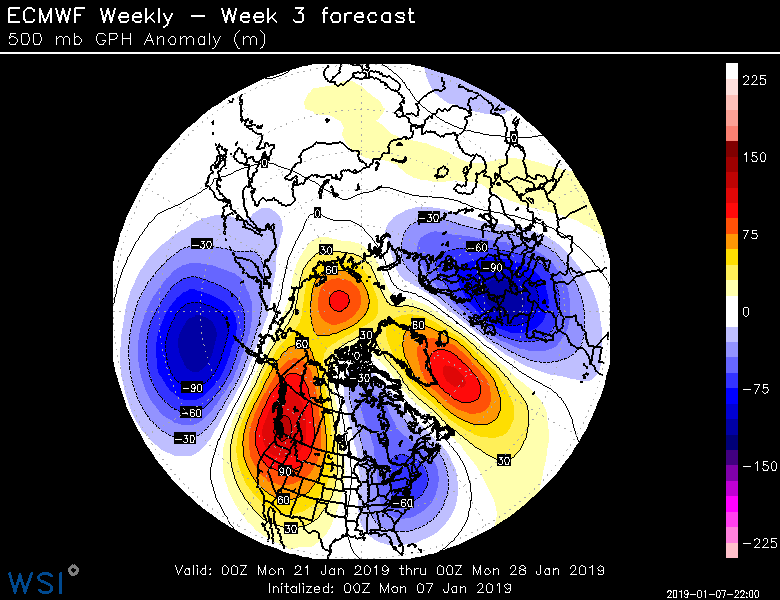 This is what it showed on the 7th Jan below for the 21st-27th Jan then the 28th-4th Feb..
Atlantic and Greenland right throw the Arctic looked pretty blocked to me.. The blue easterly flows seem to be disappearing, one run obviously, but it looks like the SSW is running out of petrol before it has delivered anything. 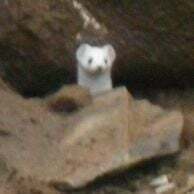 Which is a surprise to me because it looked like a significant one. 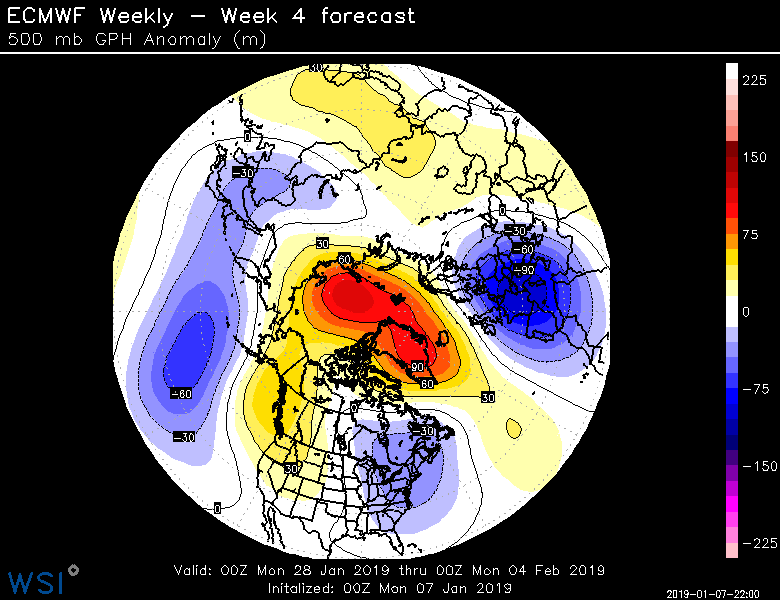 MJO assistance still possible early Feb, if not, the writing is on the wall now. Well said. At last a voice of reason. 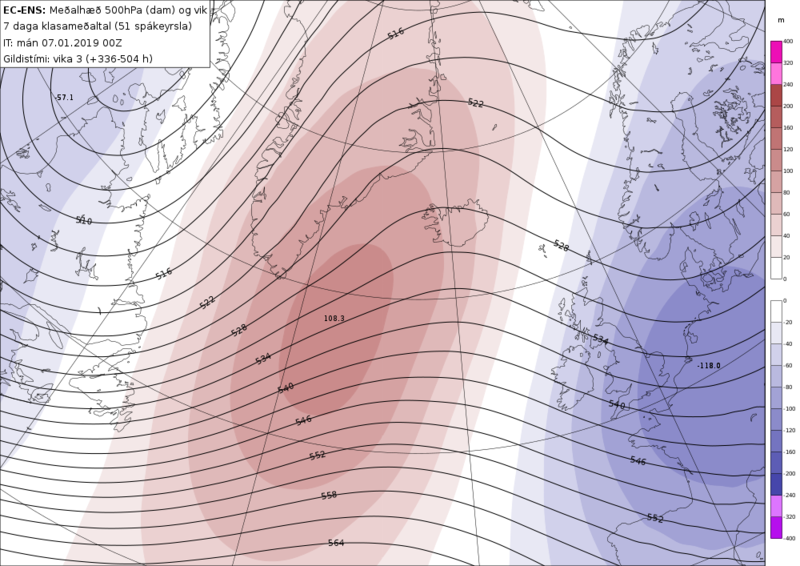 So for this period it had higher than average heights in the Atlantic and below average 850 hpa temperatures. Both of which we currently have. Exactly PM... yet is the word as far as I’m concerned. I’m not sure if people are aware that the downward propagation is still underway, the signal is for this to reach the surface at the end of January. So as we head to February, anyone writing the background signals such as the SSW off, are doing so prematurely.  Also can I just add, that the people that go to extreme lengths to construct in-depth posts as to where we may be heading and why, looking at teleconnections etc, should not be disregarded so flipently when things don’t turn out how people wish, they should actually be commended. 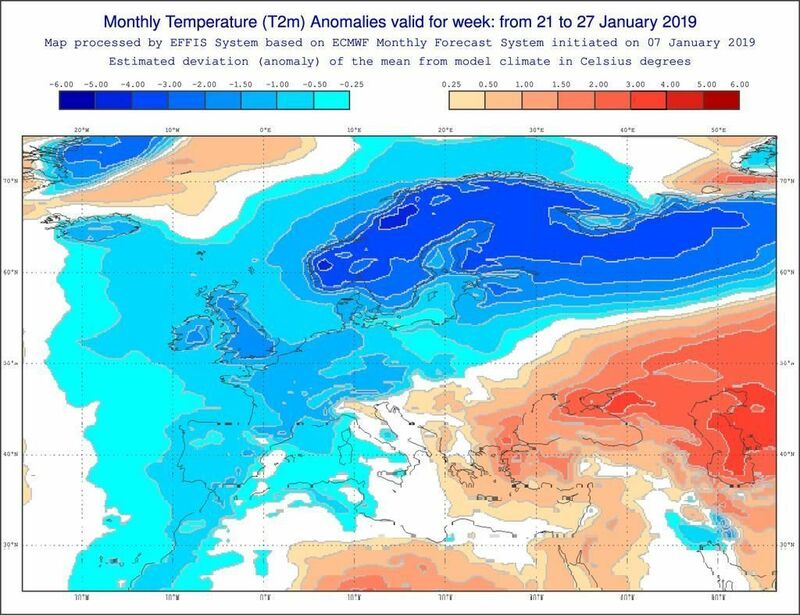 People used to say the strat had nothing to do with colder winters if i remember correctly and that has now been well and truly put to bed. Not withstanding the fact it is pretty rude, especially when you don’t have a coherent reply to debate it with, just a throw away comment to say they are useless. We are gonna be below average for a few days . You can’t dress this up the ecm / EC46 has got bits and bobs right around the globe but over are side it’s not . You can tell from them temp charts the cold is from the east . But there’s been no cold from the east . It’s a bust . The 12z swingometers are now out and they don't look the most exciting it must be said. 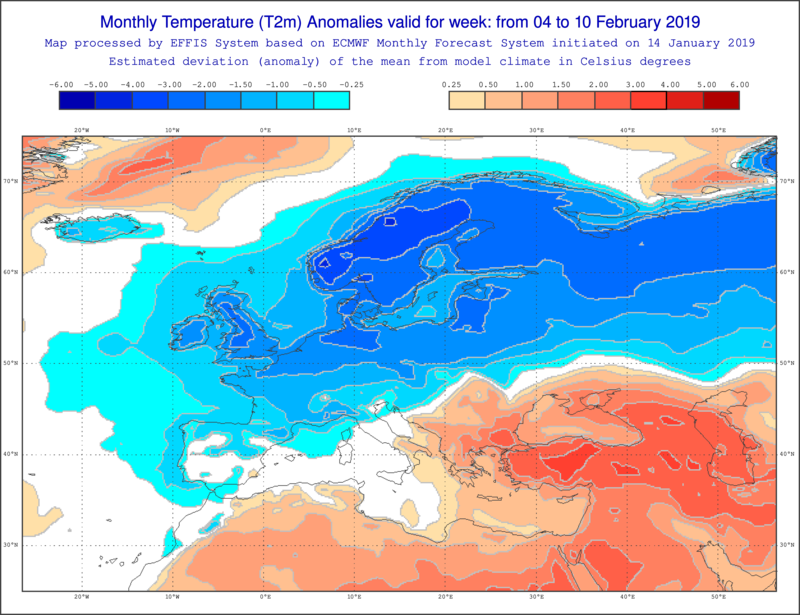 The very cold runs have proved harder to come by and the end of January is turning increasingly cyclonic if the GEFS is to be believed. 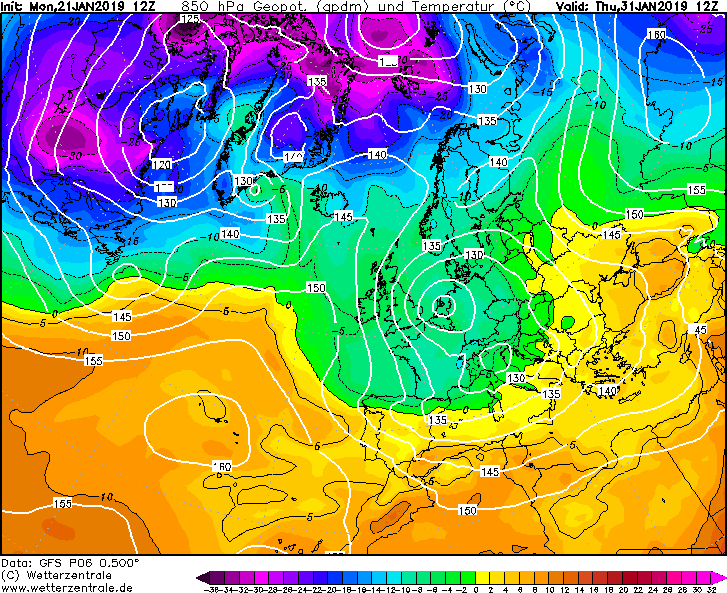 Rather cold but messy is the way I'd some up the end of January, no easterlies sadly. P6 tries to build a Scandi high. 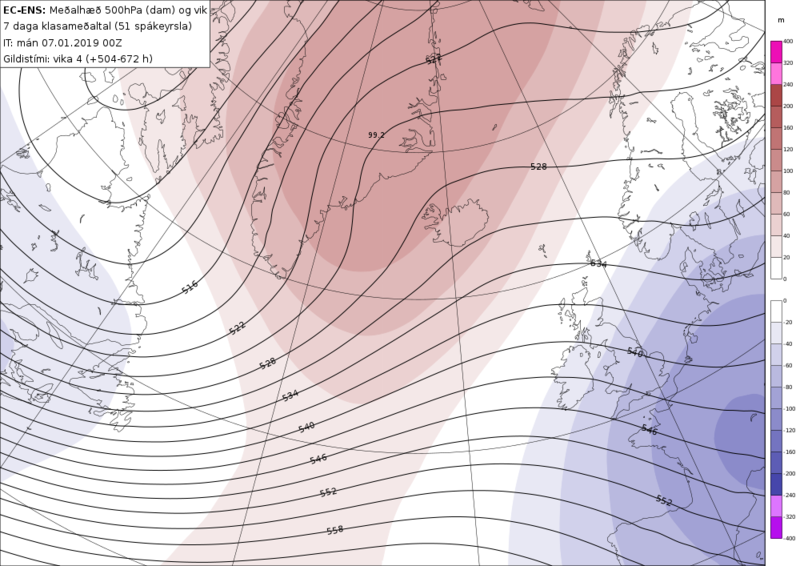 For February 5th it looks a real mixed bag at the moment which is to be expected but not much in the way of blocking at the moment. 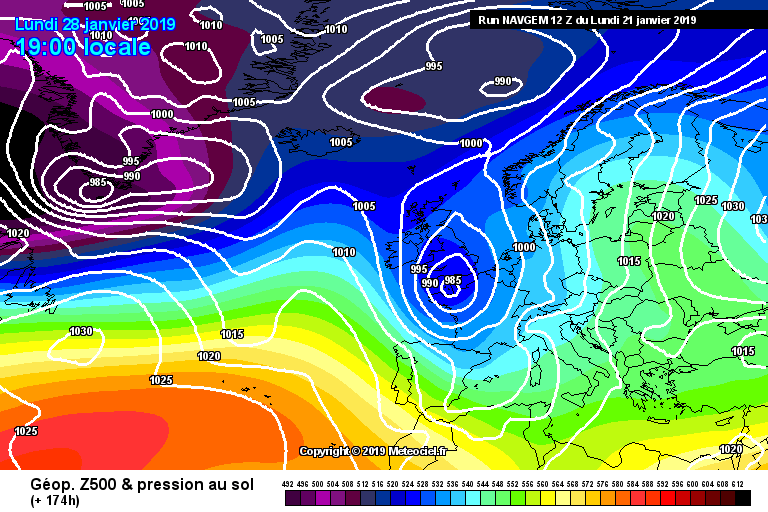 Those who fancy an early taste of Spring will like the P4 chart below. Knowing this winter that will be the chart that verifies! 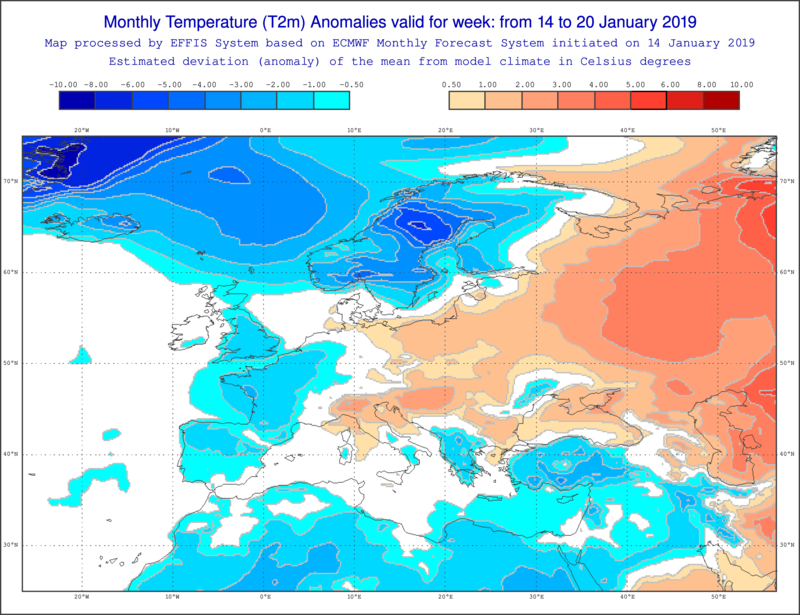 The global temperature anomaly plot is pretty sobering for our cold weather prospects, a very cold NW North Atlantic so I expect a very strong westerly pattern to set up into February though some of these may be rather cold they don't really offer much away from the NW UK. The other thing to note is that there IS some ridging, indeed 48hrs chart from the model shows quite a plump ridge from, but the PV lobe has been pretty unrelenting thus far and there energy flattens it out and indeed forces a NW airflow pretty quickly. 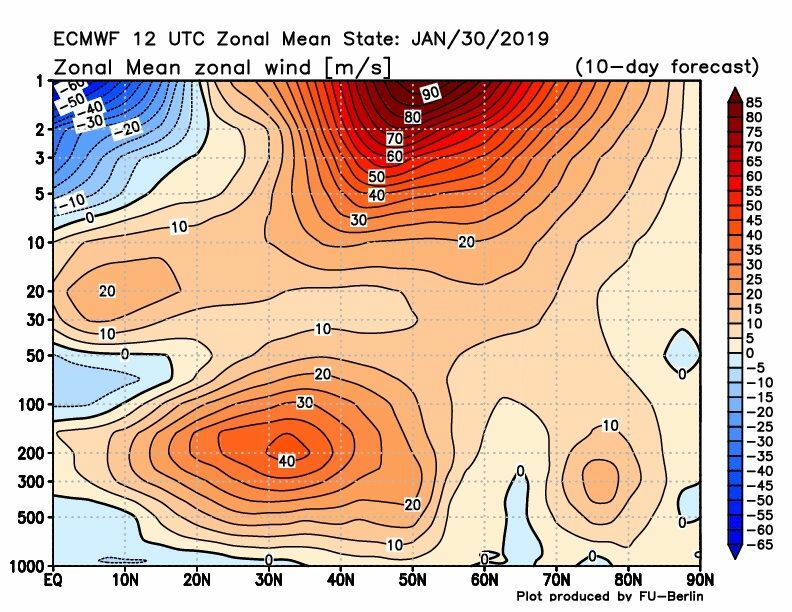 Also the SSW may be a bust for US but if you take a look at the N.Hemisphere profile by 240hrs there is a pretty large and strong Arctic High in place...its just that unfortunately for us its literally on the other side of the world and so is of only minimal use for us IF the PV lobe does ease off. Ensembles still are trying to develop some northern blocking, or a block of some description to our N/NE but a large chunk are instead dominated by that UGLY Atlantic upper low that sits and rotates milder LPs onto our shores...man I really hate that upper low in that position, with a passion! 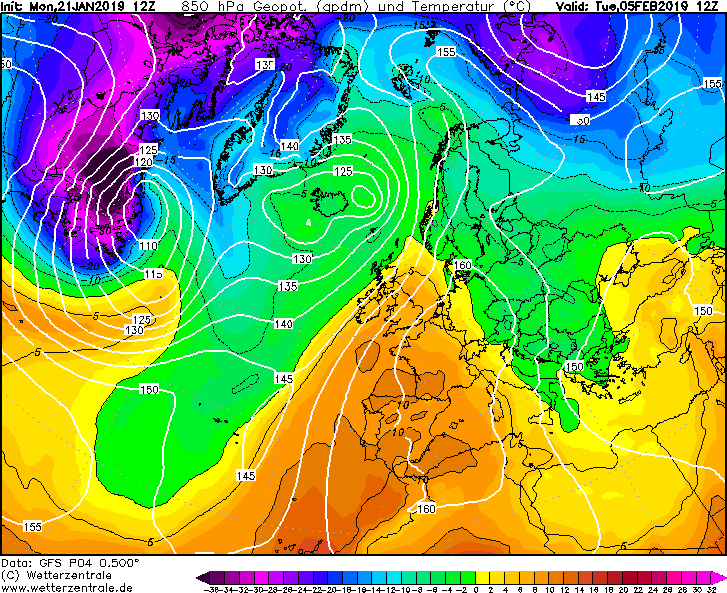 May still be ok for the north but if that happens, game over for the south. Those are from last week’s update. Well if you think the charts below represent height anomaly for the EC46 for the period 21st-27th i'm Kris Kringle.